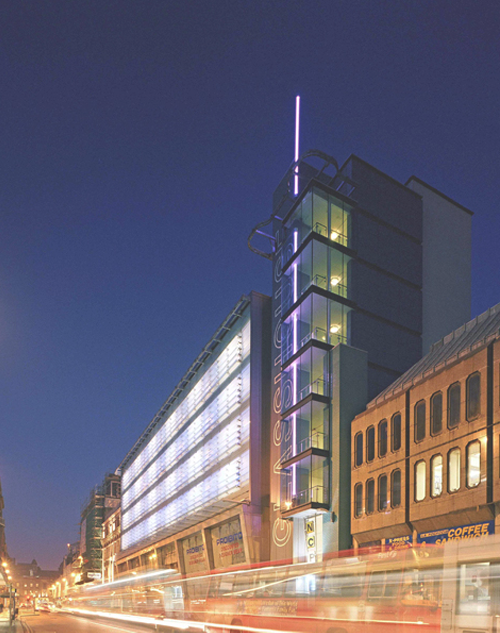 Smith Design Associates was established in 1993 and works throughout the UK from modern offices in Glasgow and Dumfries. The practice successfully services a varied workload including developments in leisure, residential, commercial and industrial sectors. We have also built up an extensive portfolio of work in food and non-food retail sector and many highly valued long term working relationships built up over the years have ensured a healthy workload is maintained. We are retained by several retailers including Wm Morrison Supermarkets PLC, Lidl, Matalan, Home Bargains, Tiso and Rox for both construction of new units and fitting-out / conversion of existing structures. The Practice has undertaken designs for many retail parks, town centre schemes and retail-led regeneration projects for developer clients. These range from small neighbourhood centres to major urban renewal projects including the Phoenix (former Peugeot Talbot car factory, Linwood) and Pegasus (former Rolls Royce plant, Hillington). We have successfully completed many leisure projects, both shell and fit-out, of ranging scales and types including: Playsport-East Kilbride, Borders/Starbucks–Dundee, Di Maggios–East Kilbride, Tiger Tiger–Glasgow, numerous fast food restaurants and are currently working with Greene King on their roll-out of ‘Hungry Horse’ family pub restaurants. Contrary to general trends the practice has, in recent years, enjoyed an increasing workload throughout the UK, largely resulting from repeat commissions and retention as a trusted framework consultant to a number of retail clients. Future growth in 2019 is anticipated, with several non-food retail, leisure, residential and public sector developments already committed. © 2019 Smith Design Associates. All Rights Reserved.